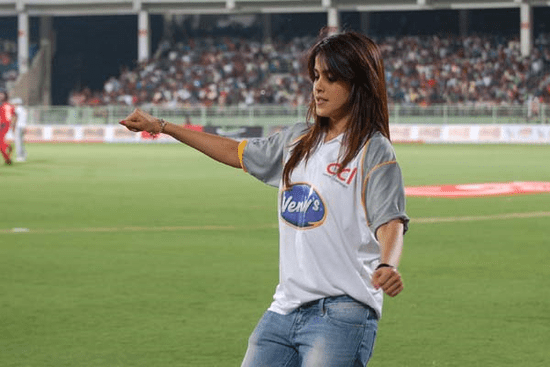 Celebrity Cricket – Genelia & Shriya Cheers !!! 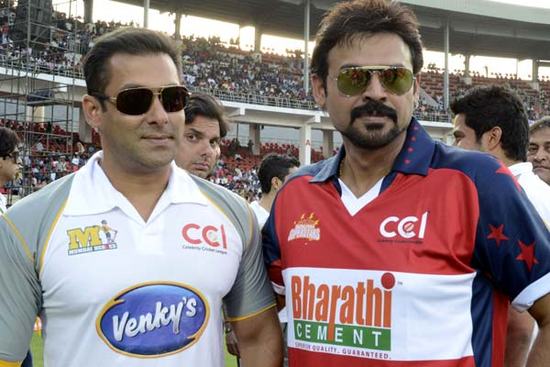 Cricket match between Bollywood Stars lead by Salman Khan’s Mumbai Heroes and South Indian film stars lead by Venkatesh’s Telugu Tigers held at the Vishakapatnam in the 20:20 format match (Celebrity Cricket League T20). Genelia D’Souza cheered for the Mumbai Heroes while Shriya Saran, Priyamani, Richa Gangopadhyaya, Tapsee cheered for South team.